Shop my Society 6 products. INSIDE : The top FIVE tips for Staging and cleaning your House to Sell Quickly and a FREE Staging Your House to Sell PDF checklist. 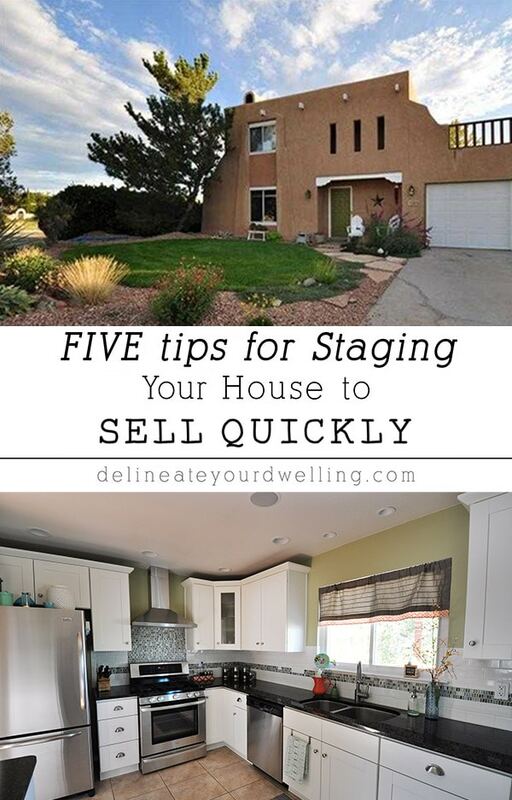 When it’s time to put your house up for sale, these staging house tips and tricks will help! My family will be moving the end of this summer from the High Desert to the green Midwest. It’s been a decision we’ve been working on since last fall and now that it is actually happening (and soon) everything is getting a little crazy in our world. 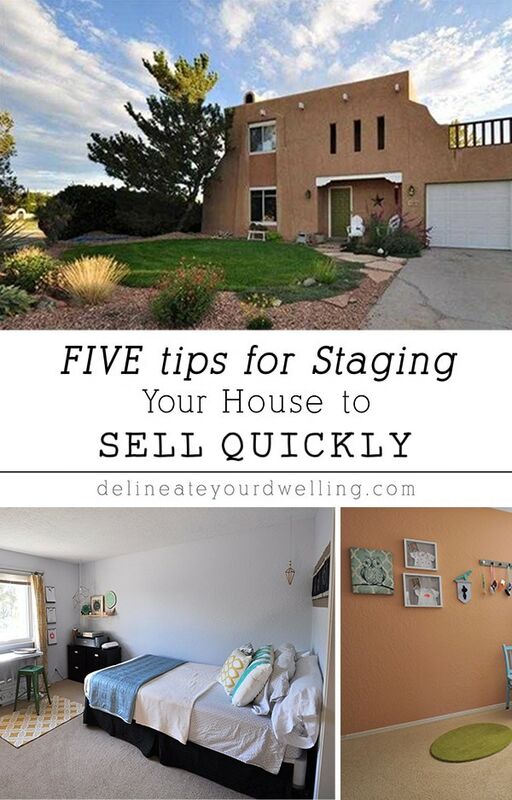 Our house officially goes on the market today, so I thought it would be quite timely to share my tips on How to Stage Your House to Sell Quickly! Sometimes there is so much time and effort put into packing and finding a new place to live that you just sort of tidy up your current home, let the realtors come over to take pictures and breathe a sigh of relief when your home is officially on the market. I get it. I’ve moved before and believe me when I say, it’s worth the little bit of time to REALLY put things in order and stage your house to show off it’s full potential. This post contains affiliate links. You can see my full disclosure here. How do I Stage my house to Sell Quickly? As we all know, first impressions are key! Some folks will drive right past your house even if the inside is wonderful and not even get it a second chance if your front yard or curb appeal is lacking. This does not mean you need to spend a bundle of money to have your yard re-landscaped. Simple things like mowing the grass and removing all the weeds are great first steps and possibly all you would need to do to spruce it up. I always am sure to have a seasonally appropriate wreath hanging on my front door. These two books have the BEST wreath ideas (1) (2) and Terrain is a gorgeous source for buying one . I also make sure to have a few pots of flowers near the front door for the color and smell they provide. When staging your house to sell quickly, the first thing you want a home buyer to notice when they walk into your home is how light and airy it feels. Natural sunshine instantly enhances a person’s mood, so showing off the natural sunlight in your home is important. Open all the curtains and blinds to get your home’s full sunshine potential. It’s also great to turn on all the lights in each room of your home. Normally, I have almost all the lights off during the day, but when someone is walking around seeing your home for the first time, it’s very helpful for them to see all the lighting on. 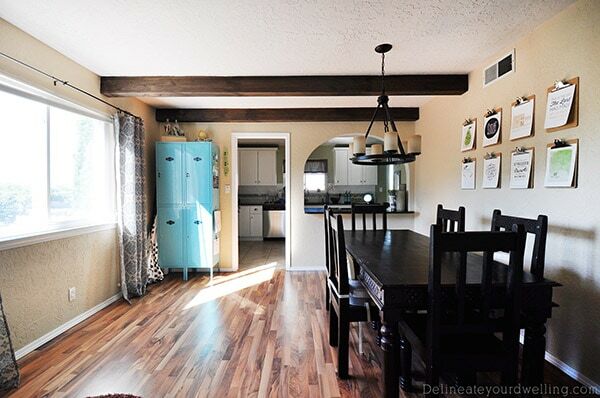 Do you have under-mounted lights in your kitchen? Turn them on! Do you have above spotlights over your fireplace? Turn them on! Those specialty lights are features of your home, so be sure to show them off! Now, this is a hard one for most of us (ME, included!). Potential buyers want to see the HOUSE not all the STUFF you have. When staging your house to sell quickly, the goal is for them to imagine THEIR stuff in your closets or cabinets, so as difficult as it may seem – do your very best to remove, remove, remove. Are you looking for some help? I have a post on 25 things to throw out and feel awesome about! I have a big box that I keep in the back of my car and it’s full of random items that I just don’t have a spot for when someone is over looking at the house. This is a great time to clean out rooms and donate unused items to your local Goodwill or Big Brothers, Big Sisters. Your rooms will look bigger and more inviting with less stuff and furniture in them… plus, it’s less to pack and move to your next home! Sometimes staging your house, can mean removing things from your house. There is nothing more off putting than odd aromas wafting through the house for a potential buyer. However having too many fragrances also can be offensive. Instead of the age old ‘baking cookies’ or burning candles, I always opt for a “clean” simple smell. Flowers or citrus tells the home buyer that you keep a tidy fresh, clean home. I have a Febreze odor remover that has a lovely citrus smell. I always spray it on the couch and a few pillows in each room before we leave when a buyer is heading over to see the house. A bouquet of fresh flowers set on the kitchen counter top is always a great idea, too. 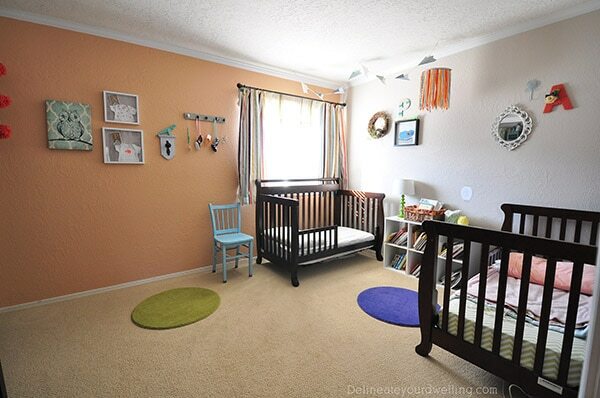 Do you have an odd room that doesn’t really have an obvious function? 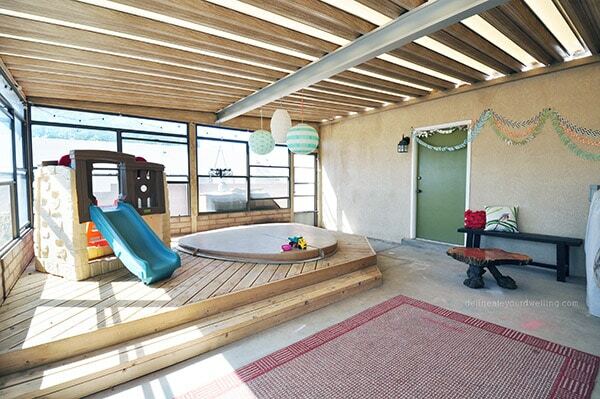 Do you have an unused sunroom? 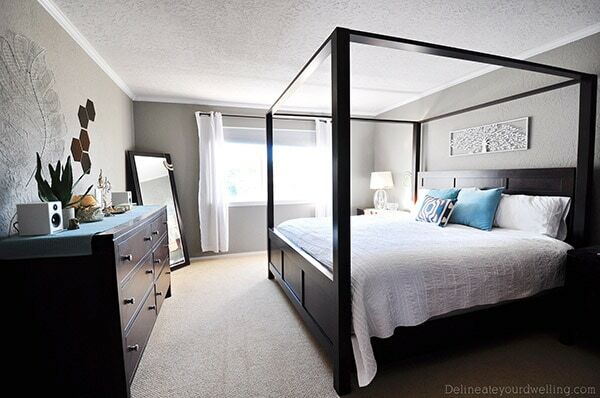 By staging properly, you can help show the buyer what they can use that space for! Even if it’s just bringing in a chair, a cozy blanket hanging over the edge and a few books… you are letting them know, this odd little space could be a reading nook. Our sun room has a metal roof and isn’t quite an indoor space but isn’t completely an outdoor space either. There is a hot tub in the ground that isn’t going anywhere anytime soon. So, I’ve turned the space into a fun kid spot that we actually use a LOT. This may not be applicable to every buyer out there, but after bringing in a bench, the kid’s play structure and some sidewalk chalk, it now tells a story and I think serves a purpose. Staging Tip 1: I know everyone always says removal all personal items from your home is important. I’m still up for debate on this. I don’t think your home needs to look sterile of all personality or every single family photo needs to come down. I think this maybe could apply if you have the entire mantel covered in family photos. Maybe select just two or three to keep up on display. Or maybe if you are obsessed with collections and all your shelves are full of your favorite collections… possibly removing some of these might be a wise idea. 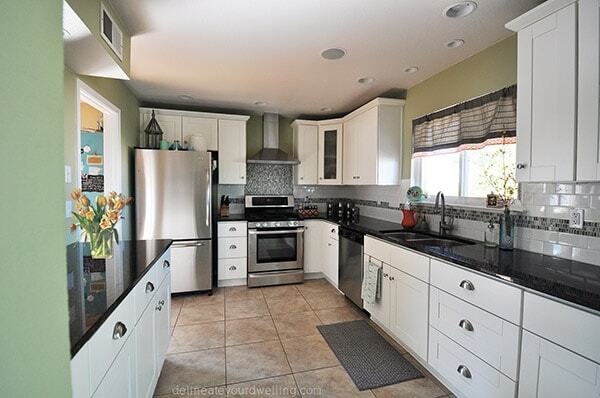 Staging Tip 2: I also think, the same goes for neutralizing the color palette in your home. As much as you adore your purple master bedroom, that color might not apply to a wide group of people. But, do I think every room needs to be white or you won’t sell your home? Not at all. I don’t plan to paint a single room in my house. I have white, gray, soft green and a soft peach walls but they all are soft subdued colors. I would say, it’s best to use your best judgement with this. Okay, are you ready for my Staging Checklist? Sign up for the DYD Insider newsletter to receive access to my ENTIRE DYD Printable Library along with this House Checklist printable!!! Already a DYD Newsletter Insider? Click on over here to access the printables library using the password found at the bottom of any email I’ve sent you. 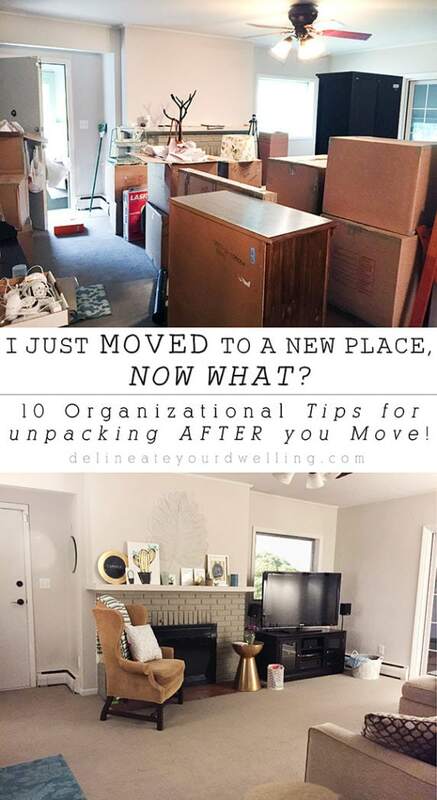 And once you’ve moved, you might be interested in my 10 Organizational Tips for Unpacking After you Move. Great post. We have bought and sold many housed over the years, and these tips are spot on. You really got me thinking about what I would do with your nonfunctioning hot tub. Might be a crazy idea, but I’d turn it into an indoor sandbox for the kids. Or if sand doesn’t sound good (I’m in North Carolina, so not a lot of sand around here) maybe upholster the edges and fill it up with pillows to make a “nest” for the kids, or adults for that matter, to nap or read. Or put some hammock netting over it for a nap spot. Best of luck on selling! Thanks so much for all the great ideas, Rhonda! I love the pillow nest idea… thankfully we sold the house about a month ago, yahoo. Ha, yes! I definitely had a plastic tub that I filled with the random junk I couldn’t find places for when we had a showing. Your home is so beautiful! Good luck on selling it quickly!!! Where in the midwest are you relocating to? I live in Oklahoma 🙂 Which is hard to catergorize…not exactly midwest but not south either. Aw, thanks Melissa! No luck selling it yet, but keeping our fingers crossed! We are heading to IL, so middle of the Midwest! I’ve never been to OK, but I’ve heard it’s a great place. Hi! I just thought I’d let you know that this post was featured as a favorite at Share The Wealth Sunday this week! I always love to see what you link up and I hope you’ll stop by and share with us again this week (if you haven’t already)! I think these are all great tips and perfectly spot-on. I would also add – repair ANYTHING that looks to be broken. Buyers worry that if you don’t fix little things, you might not be fixing big things either. But I agree with you that the personal touch thing everyone spouts off about is a bunch of hooey. They KNOW there are people living in the house. That’s not really what they are focusing on. 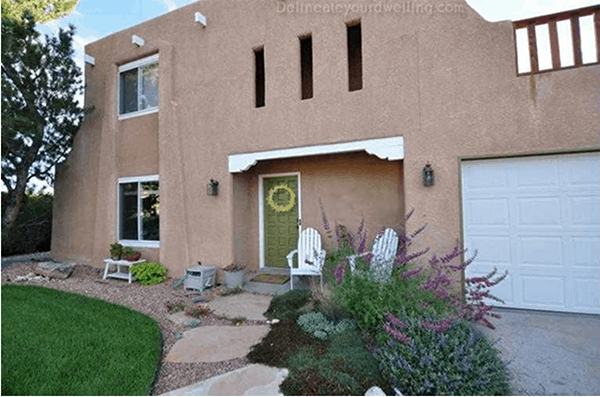 I love the front of your house – it does look VERY appealing. That’s my next project. My entryway – yuck! All of your tips are spot on! Cleaning up clutter is huge. We have sold many homes over the years and that is always the first thing we try to get rid of before prospective buyers come through. Another tip from our realtor is to not have too many personal photos. I guess buyers don’t want to see your kids from birth to age 18. Thin out the number of pictures on the mantle and walls and remember less is best! Saving this! Great tips! We’re planning to put our home up for sale next year and build our retirement home so I’ll keep this post handy. Good luck with the sale and move and Welcome (almost) to the Midwest! Hoping for a quick sale for you! Yes to all of these, especially #3 and #4! 2018 Domino Magazine DIY Blogger FINALIST! Unless otherwise stated, all images on this site are the creative property of Delineate Your Dwelling.You may use one image per post on your site if you give proper credit and link back to my original post. Do not remove any watermarks, crop, or edit any of my images.All free printables offered are for personal use only.